Home accessories dock520usz gadgets and appliances targus accessories targus dock190 targus docks targus usb-c™ universal quad video hd docking station technology universal docking station Targus - Hot “DOCKS” For Hot Desk! Targus - Hot “DOCKS” For Hot Desk! Targus® Inc, a leading manufacturer of laptop cases and technology accessories, and “Your Daily Solutions Expert” announces the launch of a new range of USB-C docks. Being the global pioneer in producing quality, advanced and patented universal docking stations, it’s our key mission and vision in 2019 to cater to the trend of mobile office and hot desk concept. 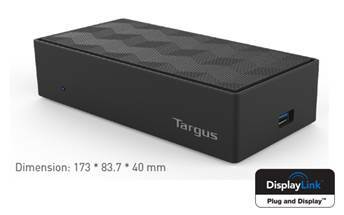 Team Targus is excited to announce that the Targus USB-C™ Universal Quad Video HD Docking Station (DOCK520USZ) is a CES® 2019 Innovation Awards Honoree! It’s the industry’s first universal docking station to support four HD extended displays. It reaffirms Targus as a true innovator in universal docking. The award will be mentioned in several marketing materials, which the Quad Dock is featured, including select collateral pieces, targus.com and social media. Targus will also be showcasing the dock along with other next-generation docking solutions at CES in January (Booth #31147). Other than the awarded DOCK520USZ, the new launched Targus DOCK190 is a native USB Type-C 3.1 Gen 1 (USB SuperSpeed) Universal Docking Station (UDS) that works with Thunderbolt, DisplayPort Alternate Mode and USB Type-C Gen 1 and Gen 2 hosts as well and many other USB Type-C hosts to render up to dual 4K60P graphics monitors. It can supply USB Type-C Power Delivery to host devices at up to 100W and can render graphics/audio, hub USB and supply GbE while powering and charging the host Windows PC, MacBook (see this first), Linux PC and Chromebook. 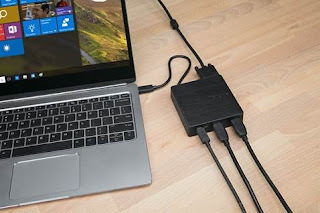 It also comes with the ability to convert the USB Type-C connection to USB Type-A SuperSpeed, commonly called USB 3.0 and or USB 3.1 Generation 1. In this mode, it can be used to supply up to 90W at 19.5VDC for legacy (barrel) host power and charging via Targus power tips. The DOCK411 is an ultra-portable tool for serious mobile professionals and road warrior presenters. It’s built to connect to the equipment you’ll find on the road like - projectors and TVs. It leverages DisplayPort™ Alt-Mode (compatible with Thunderbolt™ 3) native video, so it’ll connect with compatible USB Type-C DisplayPort Alternate Mode and Thunderbolt 3 hosts. In addition, it supports from 2K-4K resolution. 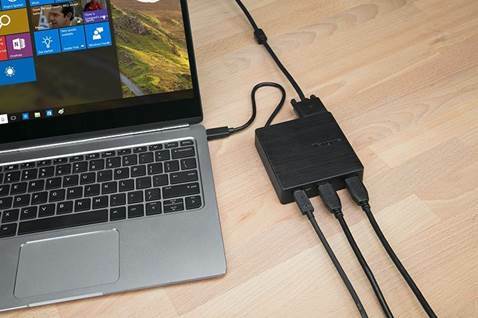 You can “Make your mobile life easier with DOCK412 with Power Pass-Through.” Expand your laptop into a workstation by plugging in peripherals into the two USB-A ports, or easily connect to conference room displays when you set up for the big presentation. Since its Gigabit Ethernet port connects you to wire-speed Internet, you can forgo a spotty Wi-Fi connection. It helps to boost your productivity with connections typically found in a full-size docking station like VGA and HDMI video ports to connect most projectors and HDTVs, a Gigabit Ethernet port for secure and fast Internet access. You can connect to a laptop or monitor, wireless keyboard, or mouse into the dock. It also passes power from your power adapter to the host computer (which is great if your laptop has only one USB-C port). It has pro cable management, too — just place the cable into its designated slot and forgo it getting tangled or creating a mess in your bag. 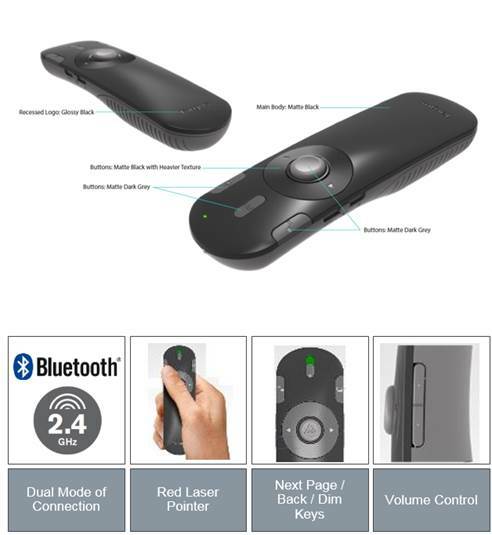 The new easy-to-use AMP32 wireless presenter offers effortless PowerPoint presentation controls with built-in laser pointer. The keys allow two slides forward or backwards, exit/resume presentation mode, and darken the screen. It also lets you control the volume for music and videos remotely. 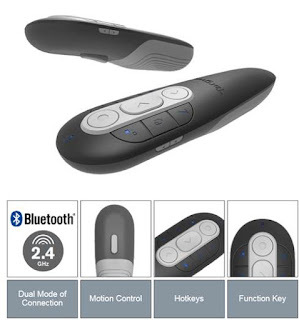 The dual connection allows ease of connecting without the need for a USB port, giving you true flexibility. It is compatible with Windows and MacOS. The AMP38 wireless presenter having most of the functions of the AMP32 presenter (only without laser point and mute key), with an added function of motion cursor movement control which means that if your presentation is on an LCD TV, you can control the cursor on the screen where the laser pointer does not work. Privacy screen was first invented by Targus! On an average, employees are 50% less productive when their visual privacy is at risk. Targus Privacy Screens narrow the viewing angle, so data is only visible from directly in front of the screen. Onlookers to either side only see a dark and unclear screen. This will enable the user to work comfortably and productively with confidential information wherever you are, and also acts as a screen protector. RSP depends different models, please browse on our website to know more! Our Magnetic Privacy Screens effortlessly attaches to your MacBook via a small metal strip, which connects to the magnet in the laptop frame. The anti-glare non-reflective screen ensures you can work comfortably even in bright and high glare environments. Targus Privacy Screens also include a blue light filter for ease and wellbeing when using your device for extended periods. Targus Privacy Screens are available to fit the tablet, laptop and desktop monitor screens from 9.7” to 27” including the latest devices and are preferred by 7/10 users.